Our roundhouse build starts in a few weeks time with the building of the walls and placing of the rafters, I have already started to assemble the materials, so if you would like to take part book now! Dates are flexible, you may even get one to one tuition, but there will be a maximum group size of five. All techniques can be practiced during the build even if that part of the build has been completed. 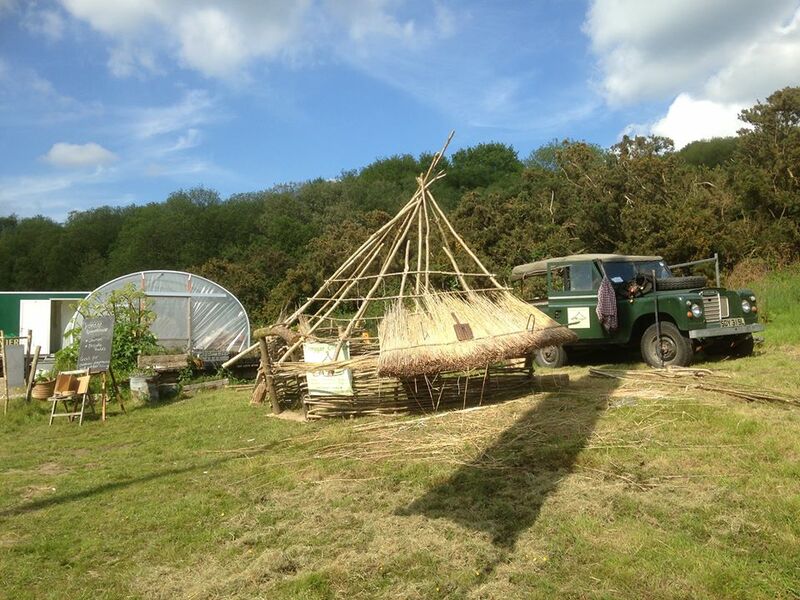 Spent a lovel weekend at River cottage, I built half a Roundhouse. Spoke with lots of interesting folk about building a roundhouse in their garden or school grounds, there was even talk of one at River cottage, with an iron age food course bolted on. So if we wetted your appetite do get in touch. 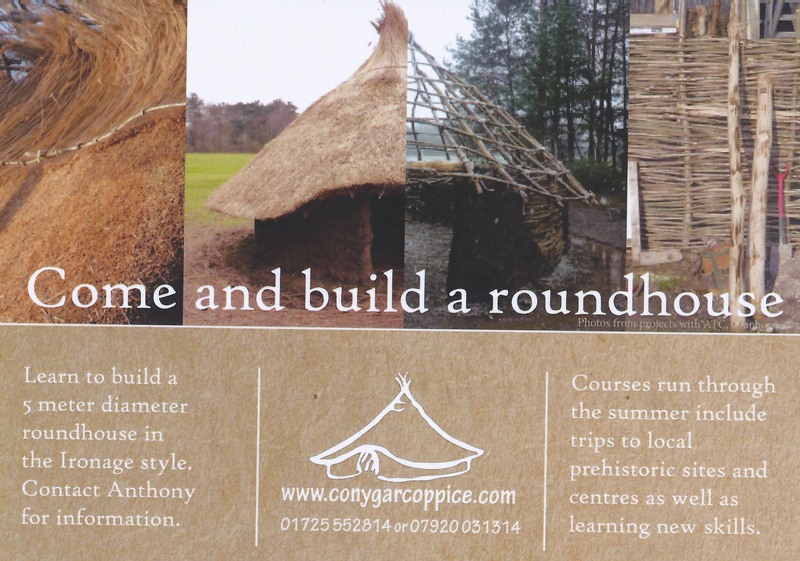 We have a Roundhouse building course this summer it would be great to see you there.